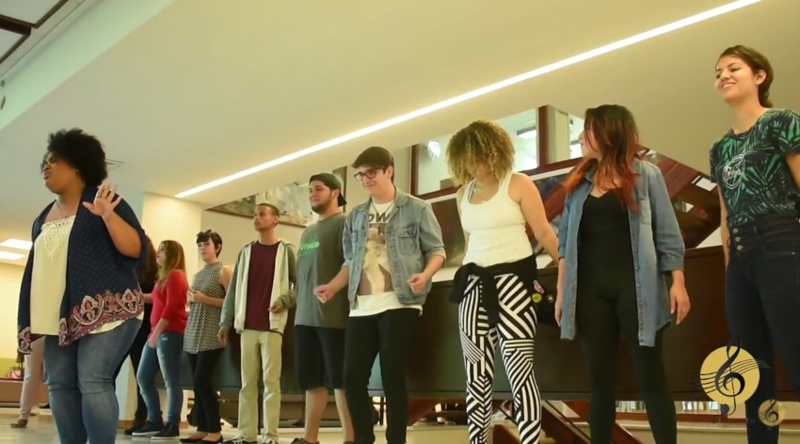 Let's face facts here, a cappella flashmobs are awesome! There's something thrilling about a spontaneous performance in a public setting that just adds a bit of happiness to everyone's day. Well, at least to those who enjoy flash mobs. And those done on college campuses are given a bit more leeway than just your Average Joes who break out into song and dance in say, a mall, unless you're shooting a commercial or executing an elaborate wedding proposal. In this #WCW, Staccato from la Universidad del Sagrado Corazon in Puerto Rico surprise a bunch of unsuspecting students in the campus library, with a soulful take on Hozier's "Work Song." The female lead's voice is easily worth the short study break.